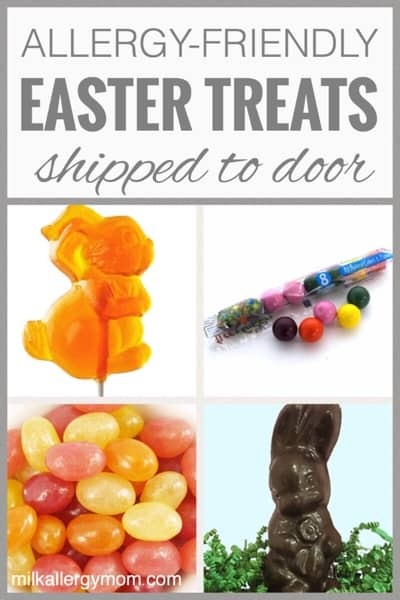 You are here: Home / Blog / Dairy-Free Easter Candy Shipped to Your Door! What if I told you that you can get allergy-friendly Easter treats from chocolate bunnies to jelly beans to bubblegum for this year’s Easter baskets…all in one place from the convenience of your computer? Well, you can and we’ve been taking advantage of this convenience for several years now. Our favorite little online candy store (referral link) carries only natural candy. No artificial colors, flavors, or preservatives. In addition, they cater to many different dietary needs including food allergies. You can even search the candies by allergens and they have a Top 8 Allergy-Free category, too! Manufacturers, ingredients, and processing information are listed to the best of their knowledge, and that is invaluable to allergy families. Always double check ingredients once they arrive as well, of course. Unashamedly, I always find something to throw in the cart for myself, like pure maple syrup candy. The candies are just too delicious not to! 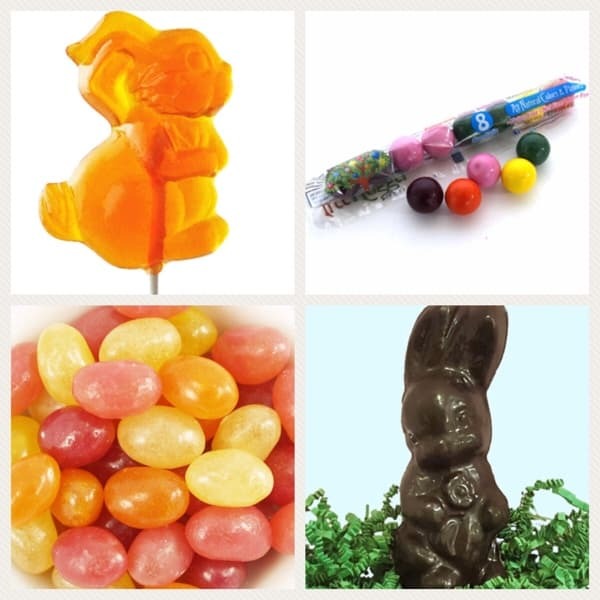 If you don’t have time to peruse a dozen different sites or to spend a Saturday running to all the grocery stores to pull together your allergy-safe Easter baskets, I highly recommend this online candy store (referral link) as your saving grace. My kids have been introduced to several new safe treats through ordering on this site, and we now love our must-haves like gum suckers and natural food coloring all year round. We hope this helps with your own allergy-friendly holiday shopping! i hate artificial flavoring. is it really free of artificial flavoring? Yes, ma'am. Everything in their store is natural. No fake flavors or colors.